Who would you meet at your club in the good old days? Funny question you might be thinking. However, I believe that the answer to that question lies at the heart of the current decline of bowling and bowling clubs. If you can answer it thoroughly and properly you have one piece of a two piece puzzle. Now you just have to find (or create) the other piece. 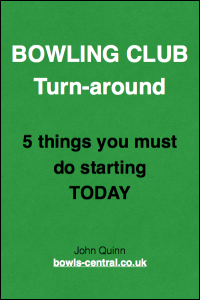 In my travels I hear a lot of bad news about bowling clubs and I hear the same reasons for this decline; smoking ban has reduced sales over the bar; can’t get any juniors in; everyone is getting older; green maintenance is too expensive; supermarkets selling cheap booze; people aren’t taking up the game etc etc. These are largely assumptions with no hard evidence behind them. What I never hear is: the club projects a gloomy, unwelcoming image; we don’t allow or encourage the general public to come along; we are really only interested in people who want to bowl; we have the best red tape in the county; we don’t take any notice of what’s going on elsewhere in our local community. Conversely, whether you like it or not there is hard, measurable evidence for this at many clubs. If you had to find instant income for your bowls club, hard cash to keep your club alive this week, where could you look? Probably not right in front of your nose but that would be a mistake. 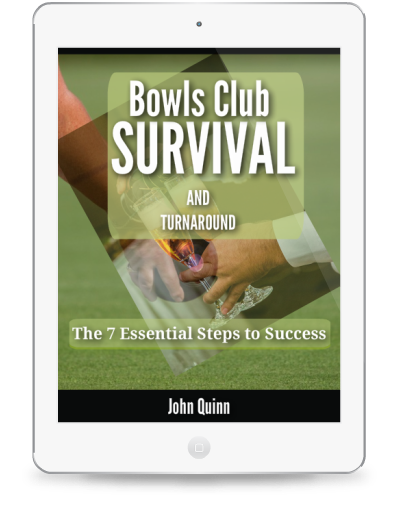 The successful bowling club of the future will be about a lot more than just bowling; it will be a centre for community involvement and readers of my eBook Bowling Club Survival and Turnaround will know that there are hundreds of ideas that can be applied to clubs to start the process of turning them into vibrant and thriving institutions. Anyway, back to today’s quest: where can you look for immediate cash? Pick up your local paper and turn to the clubs and organisations news section. In my local paper this week, 20 different clubs and organisations had a report published and they included; Rotary, Probus, Horticultural Society, Speakers Club, various medical support groups, Inner Link, BNi, Ramblers, Wildlife Trust, Parent and Toddlers. Events were also publicised such as Whist, Bingo, Films, Quiz Nights, etc etc. Have a look in your own local paper and invite the leader of each group along to get a free viewing of your facilities, coffee, meet the members. If one or two of these groups could change their meeting venue to your club this month, that is instant income. Ok so you will (this is not a maybe) need to make changes to accommodate this, but view it as the start of something that will grow and the justification for the changes is much easier. Not an often heard statement I think you will agree. However, I truly believe that there is such a future for bowling clubs if they take action quickly and positively to create such a future for themselves. To do this, I think clubs will have to take a series of bold, yet very achievable steps to turn their fortunes around and then quickly build on that success to create a long term strategy that looks quite a bit different from the way things are today. 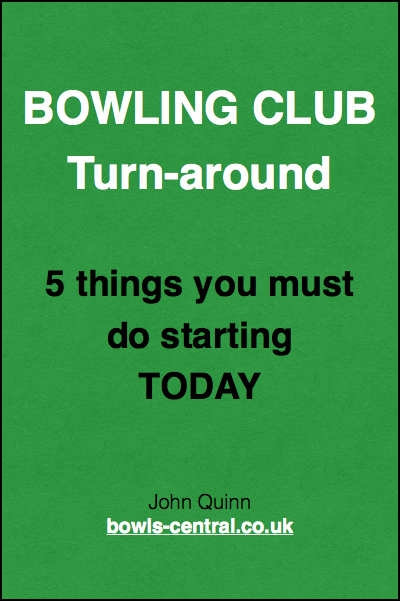 In my Free Manifesto for a Successful Bowling Club I have laid out some of my thoughts on how this can be approached. Of course every club is different (thank goodness) and some of what I advise will be easier for some than it is for others to implement. Anyway, the Manifesto is there for free if you’d like to see what I think on this subject. Design and Implement a solid strategy for achieving a vibrant, popular club in the days and years to come. As usual, if you have any questions, suggestions, tips or comments please feel free to contribute here.